Brewster, an intelligent rooster, successfully predicts the weather, spelling out his forecast by scratching on the ground. Pretty soon Brewster's skills are discovered by the local weatherman. 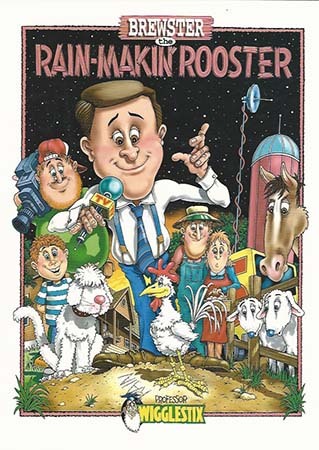 In a computer vs. chicken competition, Brewster prevailed and a new weather team was born. The book also includes Weather Stuff in the back of the book to educate and motivate all of the budding weathermen and women.